Download favorites mods for free! New resource packs and beautiful textures! We do not have viruses and ads! 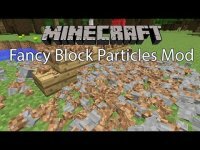 This mod adds the ability to change the default run minecraft. It can be edited to taste,and also have the opportunity to create a unique sight! Thanks team /crosshair you can open the settings of the sight. the Mod is very well suited for assemblies and customers.